Cascaded Shadow Maps is so far the best solution to tackle Perspective and Projective aliasing in shadows. 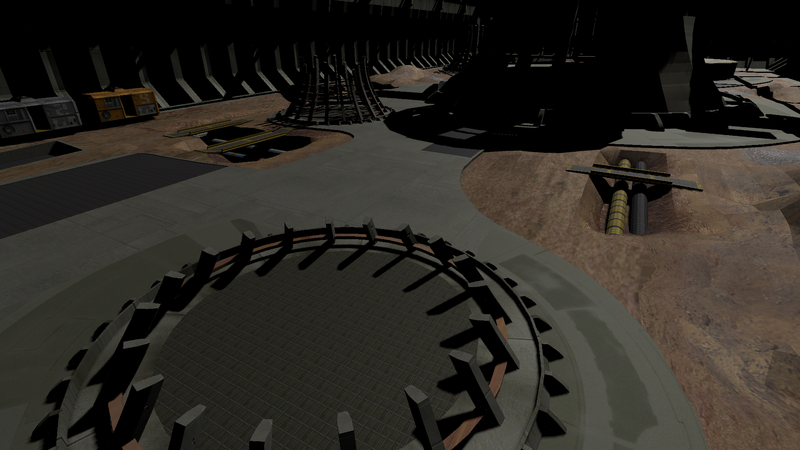 The basic idea is to use multiple shadow maps (mostly 3 or 4) to cover different areas of view camera frustum. The root cause of these shadow artifacts is lack of one to one mapping between shadow map texels and pixels on the screen (in view space). The Cascaded Shadow mapping provides higher resolution shadow maps to objects closer to the eye solving the root cause of artifacts. For splitting the cascade, I am using a combination of linear and logarithmic schemes. For more details check  and . After splitting up the eye frustum into 3-4 smaller ones we calculate their bounds in light space which are then used by the light camera while rendering to respective cascade maps. Our Objective is to calculate smallest possible bounds that will cover each cascade. One way to do it is to calculate a bounding box using 8 points making up the frustum for any cascade. To calculate nearZ and farZ we can simple transform scene bounding box into light space and take minZ and maxZ but that will again waste a lot of precision which can cause the shadow acne. A better way to calculate nearZ and farZ is to cull scene bounding box with the four planes of light view frustum in light space. This method has been explained in great detail over MSDN. For selecting the right cascade while rendering I tested 2 methods – one based one distance of pixel being rendered and compare it to cascade splitting distances and second based on finding the highest resolution cascade map having depth at that pixel location. And I found 2nd method gives better results in my test cases. Both the methods have been explained in detail in . Shimmering due to camera movement – This happens due to pixels coming in and out of the shadow when camera moves. Fix is to move the orthographic projection bounds in pixel size increments. Method1 – Use the splitting distances to calculate a bounding box around eye camera position in light space. But this scheme will waste a lot of memory since it will also cover the area behind eye camera. Method2 – Use bounding sphere instead of bounding box in the previous method. Calculate a bounding sphere that will cover each cascade frustum. Since a sphere is rotational invariant it will keep the size of the orthographic projection frustum same independent of eye view direction. Here’s how final version with all the fixes, various filtering techniques (will post details later in a separate post), etc. As we can see in below video shadows are quite stable and are of high quality. I am using mostly 3 or 4 cascades which are updated every frame ( for now ) but in a single pass using geometry shaders. Results posted below are for 1080p resolution without MSAA. Using Tiled Deferred rendering with deferred shadow pass. Note – This scene is not the original sdkmesh scene that comes with DXSDK. I ripped it of using a software called NinjaRipper from DXSDK example exe and used 3dsmax to convert it into FBX. Even though that software ripped of the whole scenes but it comes out pretty bad form. So rendering quality/performance may not be as good as DXSDK example scenes. 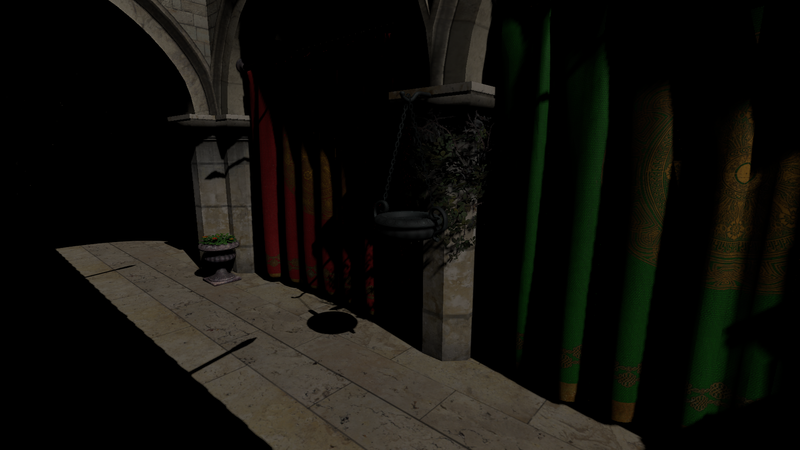 Scene rendered with 3 dynamic cascades and a static shadow map, each with a resolution of 2048 x 2048. Used Texture2DArray for cascades and Texture2D for static map. Using map selection mode, Normal offsets, derivatives transition blur and 8 randomly rotated poison disk samples. Posted on February 5, 2015, in Game Development, Graphics, JustAnotherGameEngine, Shadows, Tutorials and tagged Cascaded Shadow Maps, CSM tutorial, JustAnotherGameEngine, RealTime Shadows, Stable Shadows. Bookmark the permalink. 1 Comment.